Ceilings are one of the least decorated parts of the modern home. Most of the ceilings that you encounter would have simple unadorned design that does not create any excitement. That is where the chandeliers can be very effective. 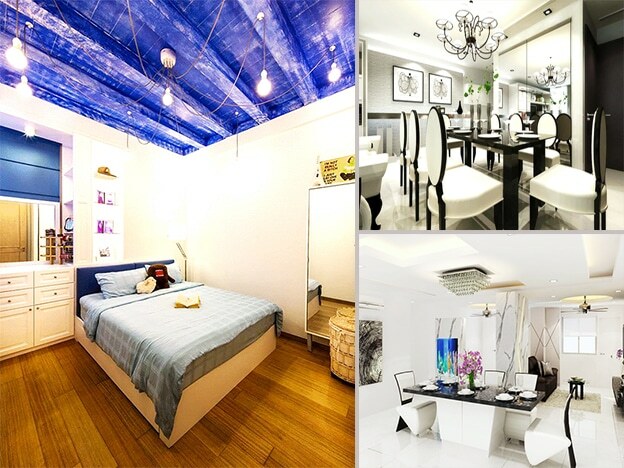 Their unique designs and stunning light arrangements can do wonders for the beauty of your ceiling. The twinkling light of the chandeliers can add a classic Victorian feel to an interior. 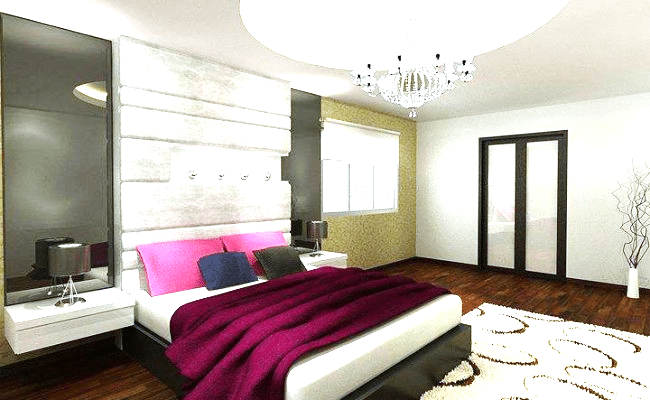 Each artistic decision made in this interior aims to affirm the luxurious and classic look into the room. The beautiful headboard, classy bed, and exquisite accessories all come together to form a beautiful collage. 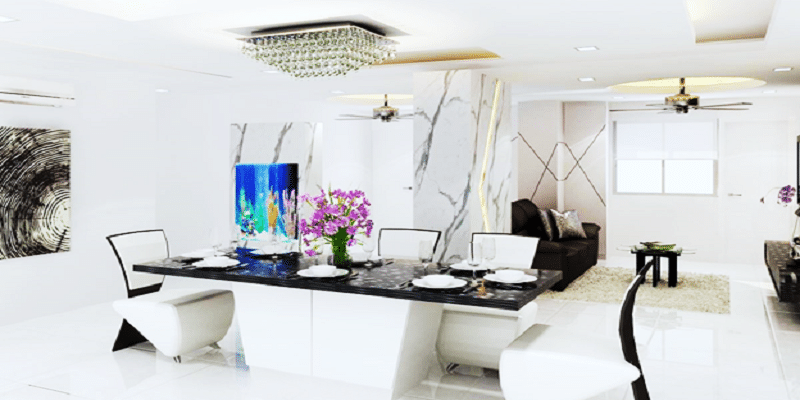 The dazzling chandelier makes the ceiling standout and makes it an integral part of the interior rather than being an unadorned slab overlooking a stunning interior. It is rare to find dining areas with such grace and beauty as this exquisite interior. The dominant shades of white and black come together to create a striking effect that would leave you reeling with pleasure. The classy designs of dining table and chairs accompanied with a clean floor make a magical effect intended to enchant the tenants. The stunning chandelier solidifies the magical effect into the interior. This dining has all the elements that earn it a deserving place in your home. This interior design perfectly portrays what amazing effect a beautiful ceiling can have on the entire home. The sky blue background adorned with twinkling star like bulbs portray a fantastical fairy land that multiplies the beauty of the bedroom. The night sky effect is perfect for the bedroom and instills a feeling of peace and comfort. The unique chandelier design is another element that stands out as an exquisite highlight. This dining area is a perfect conclusion to this amazing list. 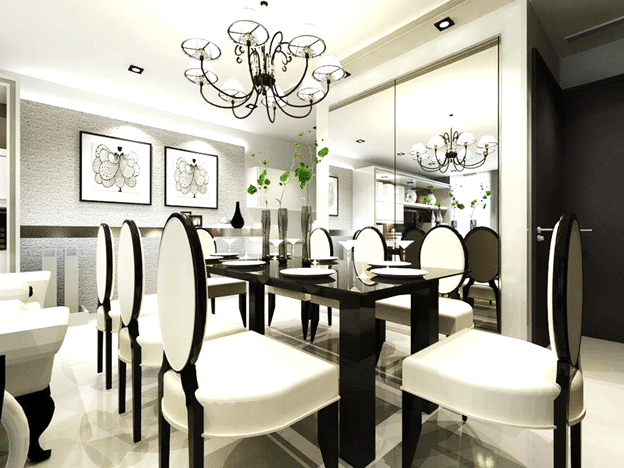 The unique chandelier design dazzles like a glittering jewel while the unique dining table style adds classical beauty to the interior. Unlike most of the ceilings that you would encounter in the majority of the homes this design has some character and depth to it. 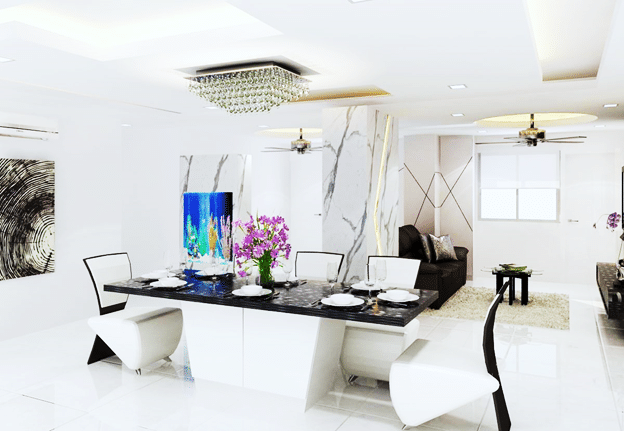 Each element in this beautiful interior design shines on its own and display the exquisite elegance.